Weapon-R High Volume Intake Manifolds have been proven to make over 15-30hp on Naturaly Aspirated applications and 45-90hp on Forced Induction Applications. 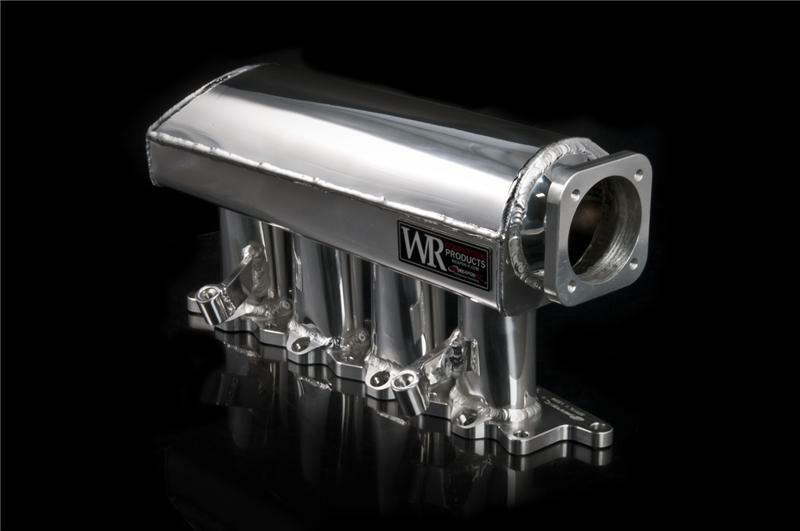 Weapon-R Intake Manifolds offer quicker Turbo spool and huge top end power increases over the OEM factory manifolds. We CNC machined velocity stacks, flanges and carefully Tig Weld the entire manifold to prevent Leaks and Cracks. Made from High Grade AL6061 for Durability and Strength. No Modifications needed for installations.